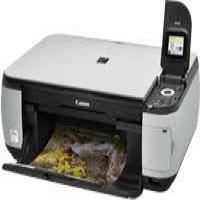 The Canon MP492 is all in one multifunctional printer that offers printing, copying and scanning functionalities. The printer is a compact machine at 450mm wide, 335mm in diameter, and 155mm tall. It is a lightweight device as it weighs 5.5 kg. This makes the printer easy portable machine. The printer is integrated with memory card direct printing technology, a 1.8-inch colour TFT display, a flatbed scanner, and a copier. The colour TFT display makes it easy to create eye-catching photos. The print resolution is 4800 x 1200 dpi.The printer uses 4-ink InkJet technology. This enables it to deliver superb photo print quality with Canon MP492 Ink Cartridges. The text quality is crisp and sharp. The printer is a little faster than other similar multifunction printers as it boasts a speed of 8.4 ppm in monochrome and 4.8 ppm in colour. It is slightly faster at printing photos, producing at least 5 pictures in a minute. It is a lightweight and easily portable. The printer is rather slow when it comes to printing documents. Unnecessary programs are included in the installation CD – programs that are not required when one already have a professional graphics or photo editing software on the computer. The ownership of the printer quite pricey as the replacement of the inks is costly. The printer has compatibility issues with Windows 7 and newer Macintosh operating systems (higher than Mac OS X v.10.5). This multifunctional device is energy-efficient and a user-friendly printer. The printer has photo lab quality printing capabilities needed for a serious photographer. Although Canon has improved its connectivity features and speed, the prices of Canon MP492 Ink Cartridges are still quite high. This makes it one of the more expensive all-in-one photo printers in terms of running costs. Q. Why I am having Slow internet access and slow printing speed when PC is connected to a network printer? A. To resolve this issue you need to reset your date and time information in the printer. Make sure you have printed all your stuff before you reset. To reset the printer, turn OFF the printer and unplug the power cable. Wait for a while and plug in the cable again and ON the printer. Q. Where will I find the serial number of Canon MP492 printer? A. The serial number for your Canon MP492 printer is 9 characters long which consists of 4 letters followed by 5 numbers e.g. XXXX00000. This will be printed on the sticker on your printer which can be present inside or on the back side of the printer. Q. My colour ink has run out but I have a full black ink cartridge in my Canon MP492 printer. Now what should I do? A. Continuous use of a physically empty cartridges can cause parts of the printhead to overheat and cease its functioning. We would recommend you to replace the empty cartridges with coloured compatible Canon MP492 ink cartridges. Q. Will the compatible Canon MP492 ink cartridges affect my print quality? A. Compatible ink cartridges will not affect your printer and its print quality until the compatible cartridges are of bad quality. We provide high quality and cost effective ink cartridges which will not at all affect your print quality. Q. From where can I get best quality compatible Canon MP492 ink cartridges? Q. Does the Canon MP492 ink cartridges come with a warranty? A. Yes, all the products provided by us are warranted to be free from any faults. If you face a problem with any of our products, you can contact us on 048 308332211 or email us on info@printerinkcartridges.ie. Q. I am a photographer, I need a printer that can print high-quality photos for my business. Is Canon MP492 right for me? A. The Canon MP492 is the perfect choice for you. It can print extremely high-quality photos with the MP492 ink cartridges. Q. Can I print pages from the MP492 with my phone? A. Yes, the Canon MP492 is enabled with phone support. You can print pages or photos directly from your android or apple device. Q. How is the quality of the printouts from the Canon MP492? A. The Canon MP492 can produce colour printouts up to a resolution of 4800 x 1200 dpi, and black printouts up to a resolution of 600 x 600 dpi. Q. What is the maximum number of pages that can be printed using Canon MP492 ink cartridges? A. Original Canon PG512 black ink cartridges can print up to 401 pages and original CL511 colour ink cartridges can print up to 244 pages. Compatible Canon PG512 black ink cartridges can print up to 401 pages and compatible Canon CL511 colour ink cartridges can print up to 349 pages. Q. How do I setup my MP492 with Wi-Fi? A. Setting up the MP492 with your Wi-Fi is very simple. Choose your “Connection Method” as “Wireless LAN”. Press “OK” and proceed to follow the instructions prompted on the printer LCD. Q. What are the dimensions and weight of the Canon MP492? A. The MP492 measures 17.2” in width, 11.7” in depth 7.5” in height and weighs around 5.9kg, making it easy to place and move around whenever required. Q. I have an old Canon MP272 which I no longer use. However, I still have ink cartridges that I bought for the MP272. I was wondering if I could use these cartridges for the MP492 printer as well? A. Absolutely! Canon MP492 ink cartridges are the same as MP272 ink cartridges. So, you can use the cartridges you previously bought with the MP492.